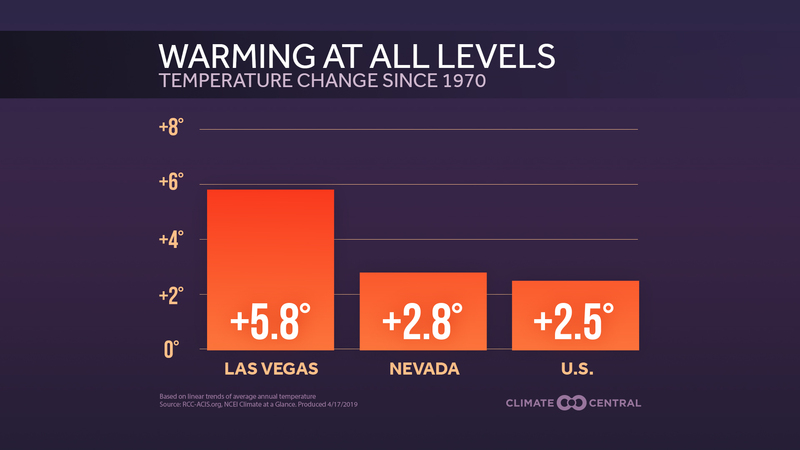 With climate change, spring is getting warmer and coming an average of 3 days earlier across the U.S. than a few decades ago. 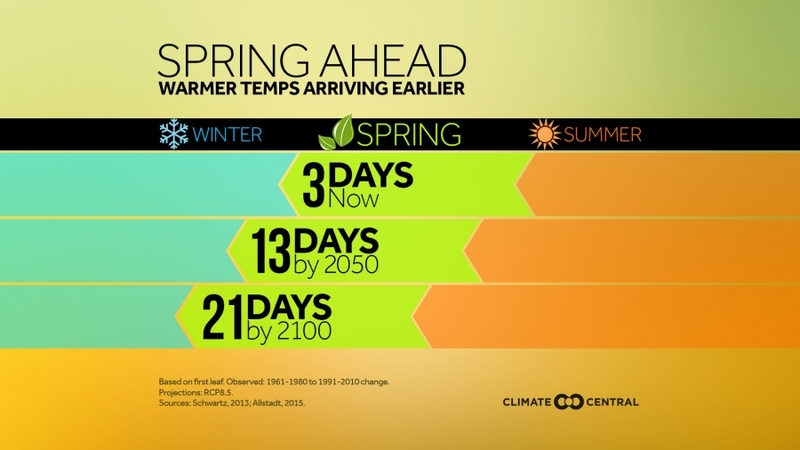 Our 2015 analysis shows how many days earlier spring is arriving in your state. A new study indicates that if current emission rates of greenhouse gases continue, leaves will begin to appear an average of 21 days earlier nationally by 2100 compared to recent trends. 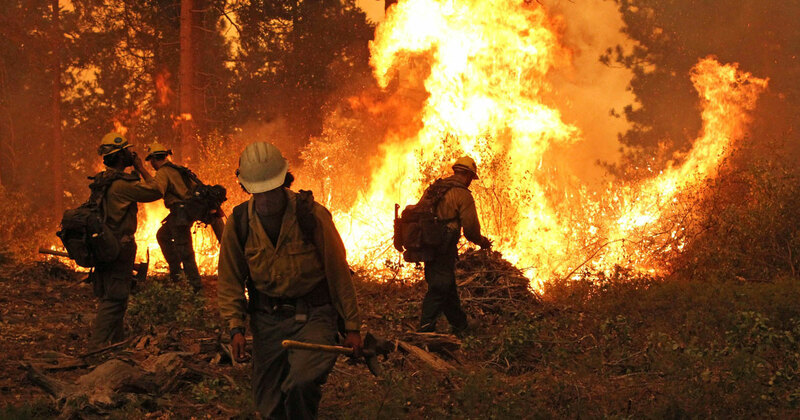 Because plants and animals take their habitual cues from the seasonal rise in temperatures and the increasing amount of daylight that come in the spring, warming can distort their well-established behavioral patterns. These disruptions can have a cascading effect on the environment and economy. 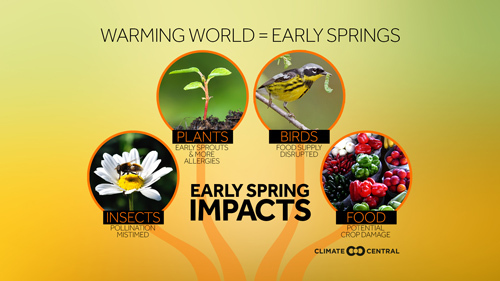 Warming springs can cause plants to bloom earlier, change the locations of migrating species, alter the awakening time of hibernating animals, and increase the seasonal insect populations. As a result, plants may bloom before their needed pollinators are available, and aggressive insects can cause damage to food crops. These effects have the potential to threaten agricultural yields, driving up food prices or even causing shortages. The earlier warming can also make the allergy season worse. 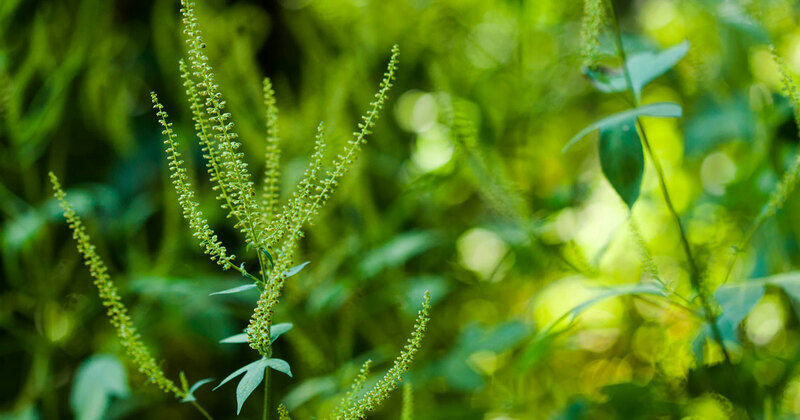 Pollen counts have already increased over the last century and are projected to nearly double by 2060. Plus, warmer spring temperatures may increase the growth of certain types of mold, further worsening the season for allergy sufferers. The current period is a comparison of average first leaf for 1991-2010 to 1961-1980 using data compiled by Mark D. Schwartz (University of Wisconsin-Milwaukee) and the U.S. National Phenology Network. Projected values, based on CMIP5 model, RCP 8.5 scenario, are as calculated by the author of ”Spring plant phenology and false springs in the conterminous U.S. during the 21st century.” The baseline of the new study is a modeled 1950-2005 average first date of leaf out.